Too often another stumbling block to healing is the mind-set, “Fix me, please.” Too many clients walk into a counseling room expecting/pleading for the counselor to fix them. My counselor did not let me keep that delusion for very long. He informed me under no uncertain terms that I had a lot of work to do. I was the one that would untangle my mess. I was the one that would plow through the brain blockades that prevented me remembering. I was the one that needed to change. He pointed out that similar things needed to be done so he would act as a coach but I had to run the maze. I choose the word maze deliberately because in an obstacle course you can see what is coming, with a maze, blind corners and hidden hazards are day to day occurrences. Step on a hidden landmine could set me back for weeks. Some times I felt like I was slogging through thigh high sludge. 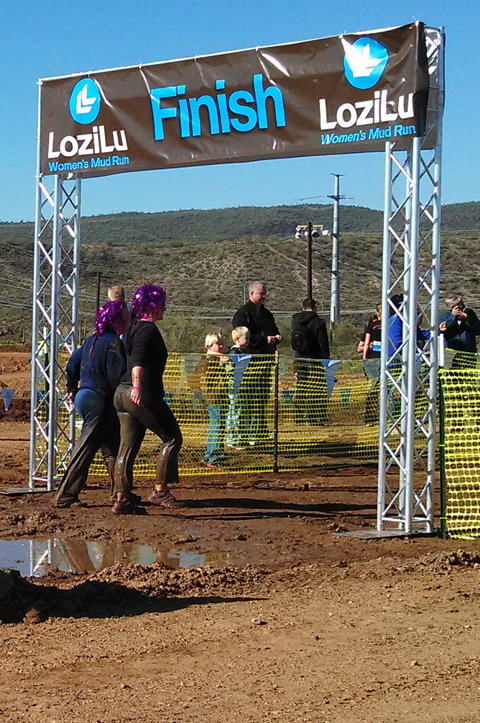 My daughter and I ran a 5 K mud run. Yep there were many similarities. It was difficult and at a few points rather than going over the obstacle I chose to go around it. It was arduous work. I mean WORK!!!! Homework, assignments, reading, experiments, trying out new ideas, failing, and trying again. Go into a counselor’s office with a fix-me attitude I will pretty much guarantee failure. Then creates the double burden of trying counseling and failing what is left to try? My counselor put me through a rigorous test to see if I was willing to do the work needed to change myself. I was caught between going through counseling and self-destructing. I chose to work and I worked hard. I did each assignment, read every book and added a few that he hadn’t read. I would try out new ideas, fail, report back and slog back out into living and try again, over and over and over. I adopted the attitude “Rest-if-you-must-but-don’t-you-quit.” If you choose to go to counseling go all in and take responsibility for your own progress. Coach, cheerleader, counselor cannot and must not run your life for you. A client listens to a coach that directs you to a new way of living and taking charge of your own life. Only person I can change is me, my therapist taught me new choices and new ways of looking at the World that opened up roads and avenues to thriving I never believed possible before counseling.